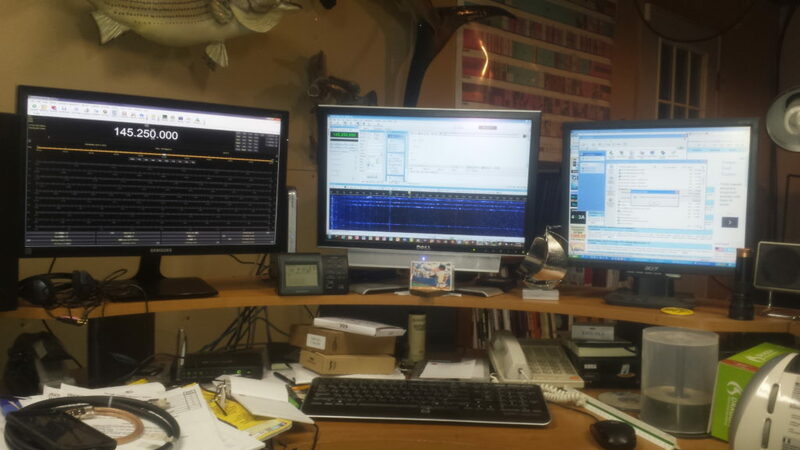 Welcome to my Amateur Radio (Ham) website. I Was originally licensed in the late 70’s early 80’s time frame as WA4RSQ. Well I messed around and let that license lapse. Life tends to get in the way if you know what I mean ;-). Now that I am older….way older I decided to get my license back. So in June of 2015 I took my technician test and passed. In July 2015 I took the General test and passed….This was the level I was at back in the 70’s before I let my license lapse. The only difference is I had the CW before, now I have forgotten it. But…… I intend to get that back as well. In December 2015 (the 3rd to be exact) I took and passed the test for Extra class! Don’t feel any smarter but I did it! Anyway in August 2015 I applied for and received a vanity call W4JWC (my initials) in September. As you can tell by my pictures I love the VHF/UHF bands and I’m really into Satellite work right now but just getting going with it. I have been working (or trying to) the SO-50 Satellite only right now, but as of mid-October there has been a new Chinese satellite lilac-sat and the new Fox 1-A have been put into orbit and are working pretty good. I have always had a interest in EME (Moonbounce) and still hope to be able work some one day. When I was in Ham radio in the 80’s there was no such thing as PSK31 but only RTTY and that required old model 15 or 19 teletype equipment. Now it is all computers! But PSK31 really has peaked my interest I am loving playing with PSK31. Right now I am only on 40 meters at 7070.00 but having a blast with it. 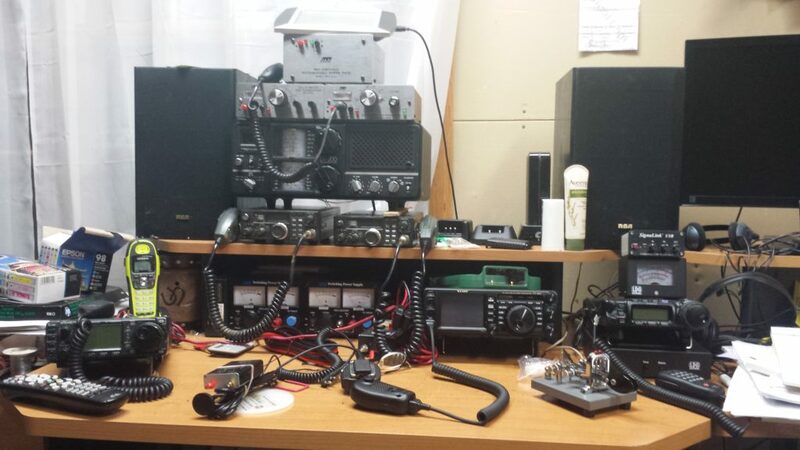 Here is a picture of some of my shack. Mostly of the computer screen for rig control and PSK31. Here is the other stuff please ignore the mess! Something else I am getting back into is CW. 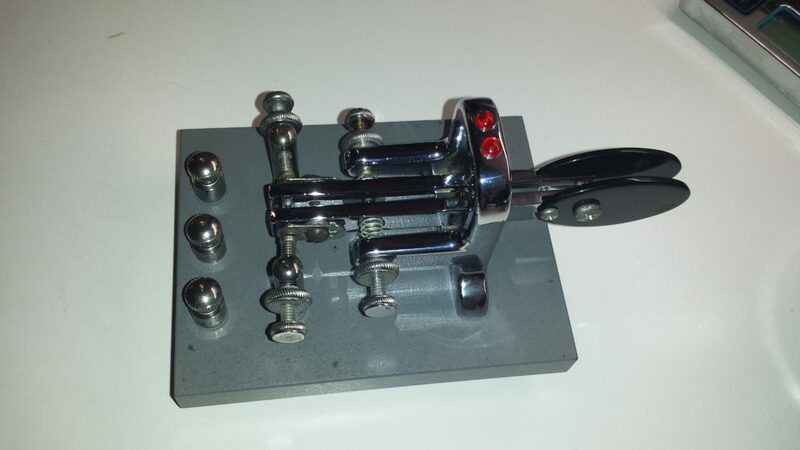 I just received a keyer that I have cleaned and adjusted. Really looking forward to putting it to use. I just picked up on APRS and got your website/call off of the traffic. If at all possible I would like some help with this format. My radio transmits..but I don’t get any echo. I just recently moved to the Roanoke area and am glad there is some APRS activity. My last town was a ghost town.